Democratic Radio "Back to School Week"
Schools are the heart of the community for cities and towns across Wisconsin. In order to move forward, we need to prioritize K-12 education. “Students, parents, and teachers are gearing up for another school year. 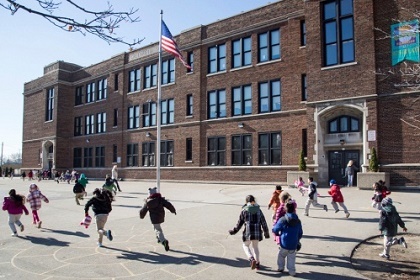 “Schools are the heart of the community for cities and towns across Wisconsin. They are a place of learning, collaboration, and growth for our children and their families. “As a parent and former school board member, I want every child to have the opportunity to succeed. “Whether a child is interested in the agriculture or academia, white-collar work or blue-collar careers, schools should help them grow along the way. “Despite the importance of education, I am concerned we are not doing enough to prepare our children for today’s competitive economy. “Wisconsin’s K-12 schools are still recovering from historic cuts to education made in 2011, when $792 million in direct state aid was eliminated. “Statewide, the average years of teaching experience declined since 2011. “While state lawmakers increased K-12 spending this year, many communities fear the overdue increases are insufficient to meet next year’s needs. “In order to move Wisconsin forward, we need to prioritize K-12 education. That means investing in our schools and teachers.